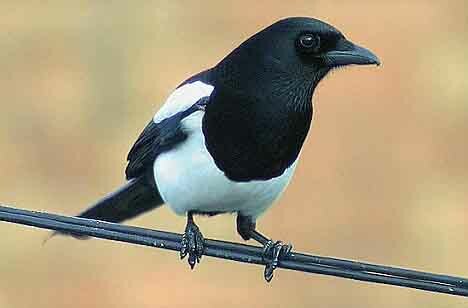 the bloody magpie that seems to be following me around needs to disappear soon or I’m going to have to shot it! 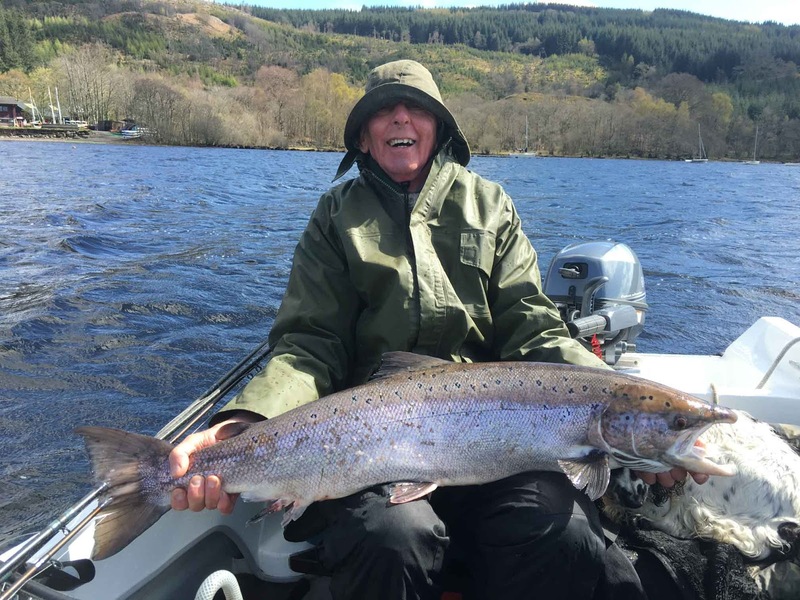 My good friend Lewis has been having slightly more luck than myself of late and managed four massive salmon from Loch Tay in Scotland, the biggest was estimated around 27lb! I’ve be saying for a while now that I need to do less sessions on the bank but increase the hours fishing during these and this is what’s started to happen. Unfortunately I can’t say that it’s increased my catch rate as sometimes I find myself on a venue that’s just not fishing and that’s very much been the case of late. Obviously short sessions based around perfect conditions and being able to respond quickly to the weather is hugely important to keep the run of specimen fish coming but it just doesn’t lend itself to my lifestyle anymore so I will just have to keep at it and make the most of things when the fish are feeding and I happen to be on the bank when they are. personal best or two. Catfish have played a big part this month along with the odd grass carp that has gate crashed the party. The golden orfe have now spawned and have had time to start putting on the weight again and the one that’s blind in one eye has graced customer’s nets twice this month as well as other anglers visiting the venue, just look in Anglers Mail. I have to say that I have been surprised at the lack of interest in the Nash Guiding Packs on offer, £60 worth of kit for just £15 when you book a guided session with me, it’s an offer that’s still running and only applies to the larger species such as cats, carp, barbel etc and unfortunately not for species like crucians and orfe. The three, yes, just three sessions that I have been bankside fishing for myself have totalled 53 hours which is rewarding yet the tench campaign has been slow, yet Chris did catch a personal best last week of 8lb 6oz so things maybe looking up for June. Hopefully the weather will warm up and get the tench feeding, however as I write this up, it’s raining and only 11 degrees! 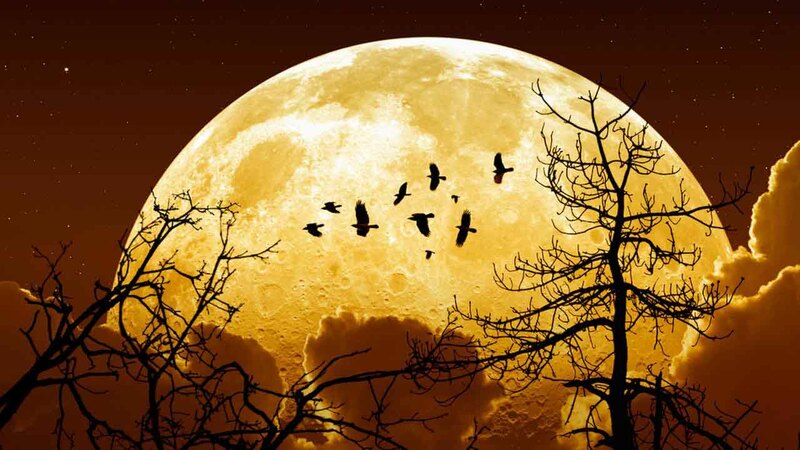 I’m not sure if many were out the night the ‘Supermoon’ showed itself? This is when the moon is closest to the earth and is 15% larger than normal and bright orange in colouration. I was fishing with customers for cats when it showed itself around midnight and when it did it simply switched the lake off, so my advice next time this phenomenon happens is, stay at home! 01/05/16 – Today was a bit of an eye opener as I was meeting a couple of anglers on the River Wandle in South West London! Yes it is the close season, but these guys had other ideas. The reason for this was to produce a ‘Lure Attacks’ feature for Anglers Mail, something that I have been assigned too, so anyone who has something to offer and wants to appear in the magazine, well get in touch, as I would love some different ideas, especially on sea species such as mullet and bass! Arriving early afternoon, after Sat-Nav decided to take me up-and-down the A3, we headed to the river for a spot of fishing. Can’t say anymore but anyone that reads this will certainly finding it interesting! 02/05/16 – Although a bank holiday today was spent in the office writing up the Furnace ‘On the Bank’ feature as well as the ‘Lure Attacks’ Wandle feature. 03/05 – 05/05/16 – The girlfriends started a new job and as she doesn’t drive and it’s a couple of miles away have decided to earn some brownie points, give her lifts back and forth, stay at home and not only do some well needed household chores but also spend time creating some freelance work for the coming months. 06/05/16 – After dropping the lady at work its time to head to Godalming’s Harris Lake as I know my dad and girlfriends dad have planned to meet, so it will be a surprise for them that I have turned up. Fished peg 35 between 7am and 11am in far from ideal conditions and managed five fish, three tench and two crucians, whilst most others struggled for a single fish. 07/05/16 - A leisurely day travelling around Berkshire taking photos of a number of fisheries so I can sort out some Tactical Briefings for Anglers Mail. 09/05/16 – Having two customers booked in for a catfish guiding session I was down the lake by 5pm to get a couple of swims. Chris arrived with the boat at 6.30pm and come 7.30pm all six rods were out, well all most, as before sorted his out Neil was into his first cat, a small one of around 5lb! The standard confrontation with the local bailiff then proceeded, however I proved after a few words that we were fishing within the club rules and settled down. Soon after Chris had both his rods go almost together and after landing a catfish of 19lb had another weighing 15lb in the sling. 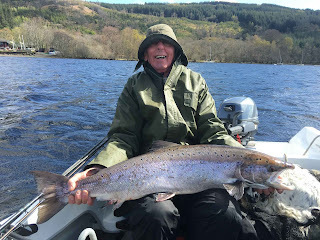 After catching the small kitten, Neil slipped the net under a much bigger specimen of a shade over 25lb before the rain moved in and the lake fell silent. We decided that all the rods needed to be reset come 2am and whilst myself and Neil chatted, commenting on wouldn’t it be great if Neil (another Neil) could get off the mark, and as we spoke his rod sprung into life. Half a sleep he managed to pick the rod up, come to his senses and slowly play another good fish which upped his personal best from 26lb to a few ounces over 28lb. After a few photos we set all rods once again, however Neil, after landing a personal best, wanted more and was soon playing a big cat, or should I say the cat was playing Neil, that made his previous fish look like a kitten. Weighing just over 42lb it was the end of the action, apart from a couple of strange pick-ups that could have been grass carp. Monday we were back with two new customers, Ian and Paul. Apart from the North wind conditions looked great, however apart from a 14lb carp to Ian the expected run of fish at dusk didn’t happen and we were left wondering if it was going to happen when out of the blue one of Chris’s rods went into overdrive from a 15lb cat. These were quickly followed by cats of 19lb, 23lb and a missed screamer before his swim went quiet. Ian’s swim then started to produce in the early hours, 2.30am to be precise with a cat of just over 20lb and two grass carp weighing 19lb 12oz and 23lb 12oz. Paul’s swim wasn’t so hectic yet he did chip in with a 26lb cat, so all in all a great but energy sapping night. 13/05/16 – After dropping the girlfriend of at work I met Chris shortly after 6.30am and we headed to Kent in hope of a tench or two. Rods were out by 8.30am and with a tench rolling not too far from my baits I sat in hope. Unfortunately twelve hours passed and as I wound my last rod in at 8.30pm another one rolled just to rub salt into the wound! I had started to get a few signs on the bobbins around 6pm yet unable to stay I had to leave knowing I was close. Chris was fishing differently to me with small pop-ups over particles, myself maggot on the hook and groundbait feeders with a few spods of bait emptied over the top every two hours or so, so it wasn’t through lack of trying or that the method didn’t work, it was just that we were fishing at the wrong time. 14/05/16 – Another relatively early morning, this time due to a Nash Roadshow at Linear in Oxfordshire. Apart from it being somewhat chilly when we arrived the day was really enjoyable with plenty of punters coming along for a chat. 16/05/16 – Another guiding day with one of my regulars, Peter who fancied some tench action on the waggler and with just the venue in mind we met at 7am. Feeding the swim a steady flow of maggot’s whist casting out a heli-rig soon bought the first tench weighing maybe 4lb. A couple more followed along with two small orfe before the waggler was cast out. Bites came at regular intervals and come 3pm we had taken maybe eight modest tench, three orfe to 5lb 6oz and a rare bream. On the way home I dropped in to Papercourt to team up with Jake so that we could get some images for another AM article, which was handy as it meant I missed the A3 traffic. 17/05/16 – Today was spent at Badshot Lea big Pond with the hope that a few grass carp might be interested, yet apart from two bream on tiger nuts the lake fished well below par. Although conditions looked great, the wind had swung round to the S/W, great once it’s been in the same direction but sometimes when it changes it can kill a lake; well that’s my excuse anyway! 18/05/16 – Spent the day in the office writing up the words for the AM Tactical Briefings. Tactical Briefings along with getting the tench kit sorted for a couple of nights in Kent. 19/05/16 – 21/05/16 Come 6.30pm I was on the road to Kent, however it wasn’t long before the traffic slowed on the A3 due to a number of accidents. I eventually arrived at around 8.30pm and with no time to look for showing fish I dropped into my second choice swim. Rods were eventually fishing just after 10pm, yet come some 35hrs later all that I had to show for my efforts were two modest eels. I nearly moved after the first night but after a walk and talking to other anglers it seemed that the whole lake was not producing. This is what specimen fishing is all about as when the targets are bigger and more elusive the pain and effort sometimes goes unrewarded. It also means that when the fish are on the feed it’s a case of catching as many as possible to compensate for the lean periods. My time will come, you wait and see. My mate Chris fished from Friday evening right through to Sunday morning and also found it hard going but after waiting some 30hrs did have two tench come along in the early hours of Sunday morning. He also said that a few tench had started to show, more than what I saw during my stay so obviously for some reason they had started to wake up. 24/05/16 – Today it’s time to get back in the office as the features are beginning to pile up and I need to get stuck into them. catfish guiding session however no one had re-warned me that there was to be the first ‘Supermoon’ of the year which obviously had an adverse effect on the fishing. If anyone missed it, it rose around midnight from the south east and looked massive, although just 15% bigger than normal and was bright orange. Six rods were out and repositioned every 4hrs and in total six runs came resulting in two grass carp of 16lb 4oz and 26lb 6oz, both personal best to the anglers along with a cat around 15lb. One very big cat managed to throw the hook after beating Chris up for quite a while and the other three runs mysteriously saw nothing hanging on the end. Once again at first light I awoke to the sight of one magpie looking straight at me, the same one I reckon that’s been following me around the last few weeks! 26/05/16 – After a couple of hours sleep I was in the office catching up on the article writing before sorting the tench kit out for a day’s guiding at Newdigate on Friday as well as heading to a local lake to take some images for one of the features. 27/05/16 – It’s always rewarding to return to a venue, especially with and get the upper hand on a species that failed to show on the first attempt. Last year Ron and myself headed to Newdigate in the hope of seeing Ron catch his first Golden Orfe, however we couldn’t have timed it worse as on arrival every orfe had other things on their minds. Knowing that the orfe had already spawned we planned our return carefully and arrived on a perfect late spring day and fishing towards the plateau Ron managed four orfe including Blind-Eye at an ever increasing weight of 5lb 12oz along with a tench that seemed reluctant to feed. Heading home mid afternoon allowed me time to get on with some feature writing material, so a rewarding day in all. 31/05/16 – A wedding over the weekend kept me away from fishing for the last few days and the planned trip to Kent was rescheduled once I realised it was a bank holiday so today was spent in the office trying to get a few articles for AM finalised.